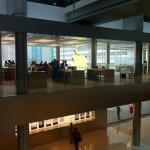 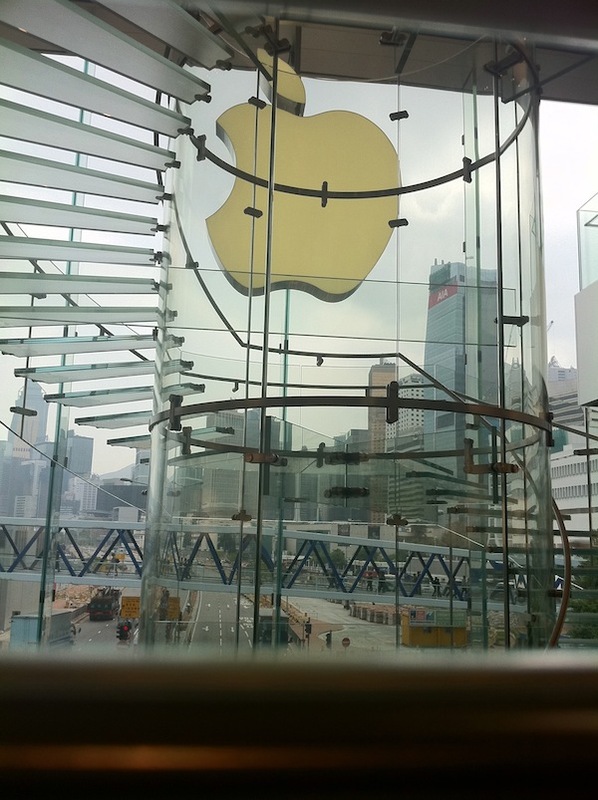 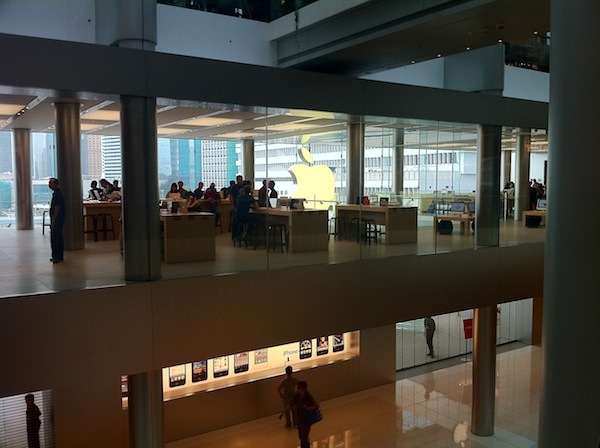 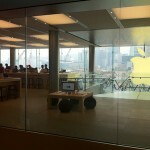 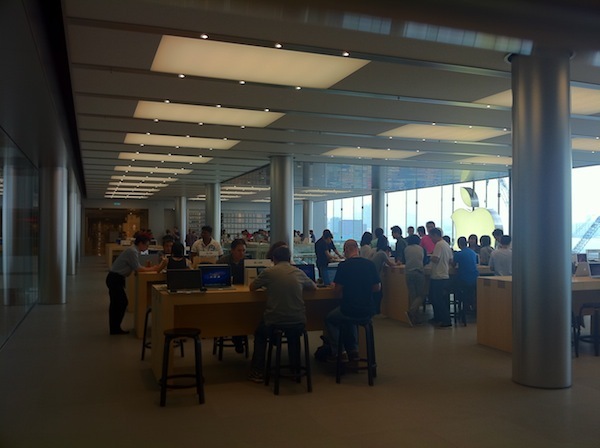 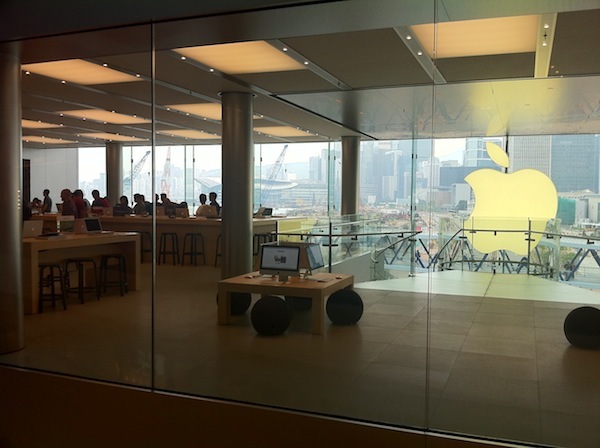 Apple Store Hong Kong opens curtains and lets the sunshine in. 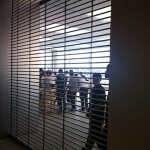 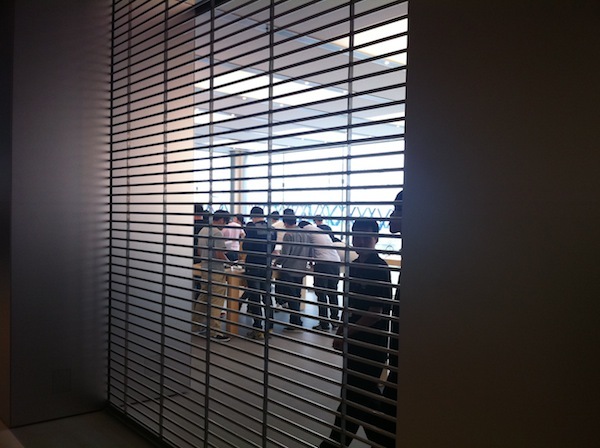 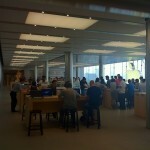 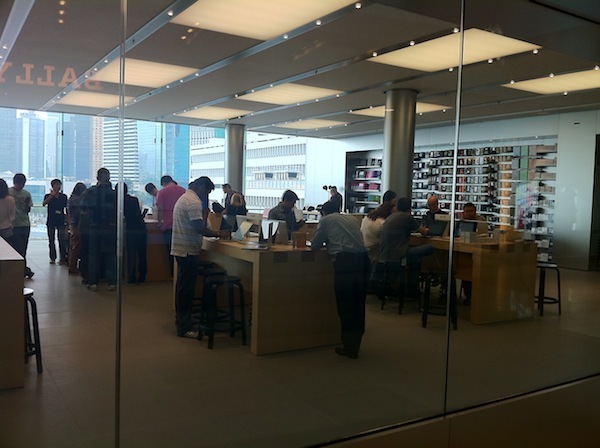 They took the curtains off the Apple Store and are doing some staff training by the looks of things. 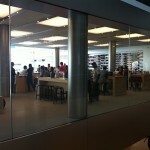 Still on target for an opening this Saturday. 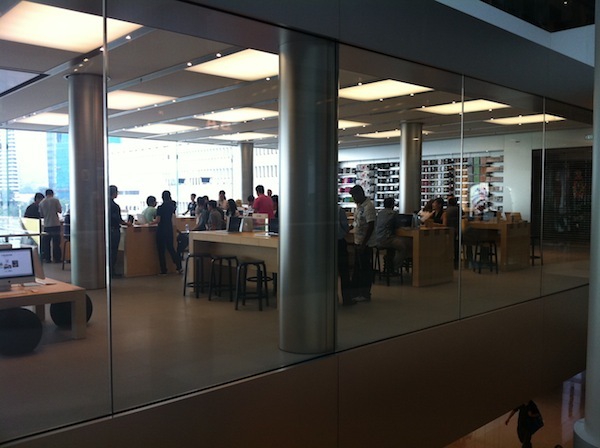 The store is going to be very ‘bright’. 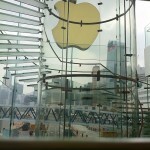 Huge windows opening to Hong Kong’s skyline and lots of light will make this a very sunny experience. 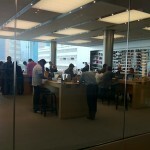 Hope they have some good air conditioning.